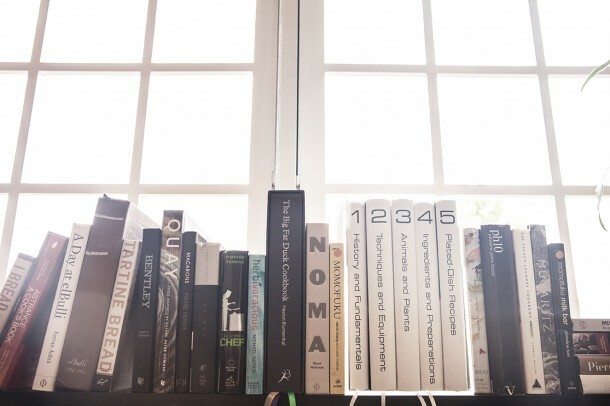 We have a large library of cookbooks at ChefSteps that includes what is on hand in our kitchen and extends to the personal collections in our individual homes. Whether you follow a recipe to the letter, or like to peruse a stack of books (or our site) for ideas, it’s a great way to start the creative process of cooking. Here are some of our favorite, dog-eared volumes that you might want to add to your own collection. Modernist Cuisine: The Art and Science of Cooking: Named both the 2012 Cookbook of the Year and Best Professional Cookbook of the Year by the James Beard Foundation, this behemoth—it weighs 40 lbs!— endeavored to bring a deeper understanding of food science and cooking technology into the culinary arts. It also brought our founders together as a team; Chris Young as the principal coauthor, Grant Lee Crilly as the first development chef hired, and Ryan Matthew Smith as the principal photographer and photo editor. The Big Fat Duck Cookbook: A gorgeous tome from culinary alchemist Heston Blumenthal. His restaurant, The Fat Duck in Bray, Berkshire, was awarded three Michelin stars in 2004 and chosen as the Best Restaurant in the World in 2005. Chris Young was the founding chef of the Fat Duck’s Experimental Kitchen, the secret culinary laboratory behind the innovative dishes served there. El Bulli 1998-2002: One of our favorites of the El Bulli series from Ferran Adrià, but they’re all worth looking at if you can find a copy and pony up for the hefty price tag. Herbivoracious: A little change in pace with this excellent vegetarian offering from our CTO, Michael Natkin. The recipes and photos in this book have even our most carnivorous team members drooling with appreciation and there are lots more recipes, techniques, and expert know-how on Michael’s blog, Herbivoracious. Mugaritz: This cookbook is a favorite of our Development Chef, Nick Gavin. He spent time working with the development team there before joining ChefSteps. Located in northern Spain, Mugaritz continues its reign as an influential force and Chef Andoni Luis Aduriz is much respected for his creativity and innovation. Pierre Hermé Pastries: One of Grant Crilly’s favorites—he worked with Pierre Hermé’s team at Grégoire-Ferrandi—this book takes you through master pastry chef Pierre Hermé’s recipes for the great classics of French pastry and other definitive desserts from around the world. Alinea: Grant Achatz is a groundbreaker when it comes to creative cuisine and his Chicago restaurant Alinea has won numerous top awards over the years. Suffice it to say, our copy is well-worn. Bentley: Contemporary Cuisine: Chef Brent Savage’s cookbook from his Sydney restaurant, Bentley Restaurant & Bar, includes detailed photography and instructions on modern cooking techniques such as sous vide and is a favorite of our development chef, Ben Johnson. Astrance: A Cook’s Book: This gorgeous set includes both an exquisite cookbook and a step-by-step guide from Pascal Barbot’s restaurant, Astrance, a three starred Michelin restaurant in Paris. Another Grant Crilly favorite; Astrance is also on his resumé. Momofuku: The cookbook from the phenom that is David Chang. Chef/founder of the Momofuku restaurant group, master of the ramen noodle, this cookbook is filed under must-have. Noma: Time and Place in Nordic Cuisine: Named the #1 best restaurant in the world in 2010, Noma—located in Copenhagen, Denmark—is the brainchild of Chef Rene Redzepi. Gorgeously photographed, this book is a favorite of Kristina Krug, our multimedia project manager. Tartine Bread: We love Tartine! That goes double for Tartine Bread. Reknowned baker Chad Robertson is the co-owner of Tartine Bakery in San Francisco, where the bread sells out within an hour nearly every day. Momofuku Milk Bar: Christina Tosi shares the recipes for her fantastic desserts—Compost Cookies, Crack Pie, and Cereal Milk™ to name a few—all from the legendary Milk Bar, the awe-inspiring bakery she started as the pastry program at Momofuku. The 4-Hour Chef: The Simple Path to Cooking Like a Pro, Learning Anything, and Living the Good Life: The quote on the cover from Marco Canora; “If you crossed Jason Bourne with Julia Child, you’d end up with Tim Ferriss.” A blast to read and a great choice to include as a whip-smart survival guide. D.O.M. : Rediscovering Brazilian Ingredients: Alex Atala’s first major cookbook and we can’t wait to get our mitts on a copy. Manresa: An Edible Reflection: the long-awaited cookbook from dear friend David Kinch, utilizing classic and modern techniques plus collaboration with nearby Love Apple Farms which supplies nearly all of Manresa’s exquisite produce. Preordered! Coi: Stories and Recipes: a new cookbook from Daniel Patterson, head chef/owner of two Michelin starred Coi in San Francisco. It’s on our wish list. Got some of your own favorites that you want to share? 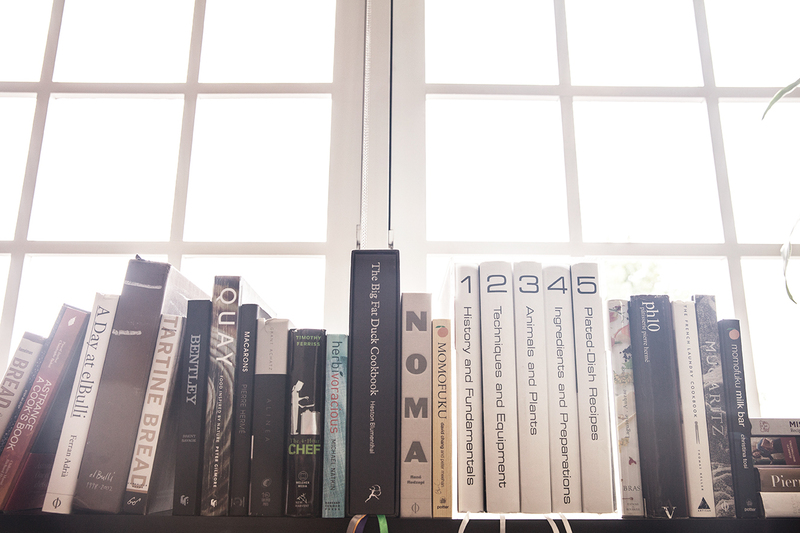 We’ve got a great cookbook thread on our forum, so please join in. My wish list just got longer… Wanted to mention Ruhlman’s Twenty, a current favorite of mine. Chapters are essays on cooking essential techniques and their uses rather than being based on a collection of recipes. Clever and different than the majority of cookbooks I’ve come across.